WINNIPEG — The Manitoba government is writing off the second of two loan segments that helped finance a new stadium for the Winnipeg Blue Bombers of the Canadian Football League. 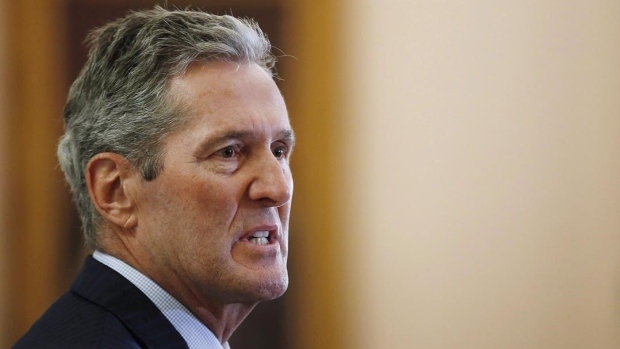 "Despite the best efforts of the team on the field last year, where they profited to the tune ... of over $2 million, that wouldn't even come halfway towards the obligations the (former NDP government) set up for them," Pallister said. The club's president and CEO said the team needs relief. "Based on our future forecasts, including ongoing capital improvement requirements for the stadium, we anticipate making an annual required minimum payment that is less than the maximum scheduled payment," Wade Miller said in a written statement. The government originally predicted a $840-million deficit for the fiscal year that ended in March, and the final, audited number is due out by the end of this week.